Overshadowed somewhat by the official announcement of the new Apple iPhone 4, Apple also announced the latest update to its Safari web browser at this weeks WWDC. The 39.1MB Safari 5 update is now available for download for Mac or PC from Apple's website or via Software Update on Mac OS X.
Apple promises expanded HTML5 support and a 30 per cent performance increase with its latest version of Safari, plus support for new HTML5 technologies and the addition of Bing search and secure sandboxed extensions. 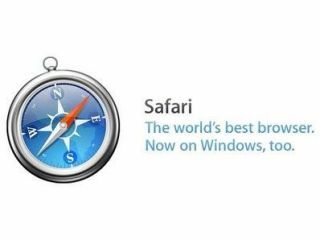 "Safari continues to lead the pack in performance, innovation and standards support," said Philip Schiller, Apple's senior vice president of Worldwide Product Marketing. "Safari now runs on over 200 million devices worldwide and its open source WebKit engine runs on over 500 million devices." Safari 5's new HTML5 features allow full screen playback and closed captions for HTML5 video, as well as HTML5 Geolocation and numerous other new HTML5 tools for web developers to make use of. Safari 5 also includes the Safari Reader feature, allowing users to read single and multi-page articles on the web in a new, scrollable view – cutting out extraneous additional content and clutter. Users merely hit the Reader icon in the Smart Address Field to display the entire article in clear and easy-to-read format, with the option to enlarge, print or send via email.